He says the majority of people from terrorist sponsored countries are getting into the U.S. along the Texas border. He pointed to Ahmed Muhammad Dhakane as one of those terrorists. Border security certainly hasn’t improved since 2008, no matter what Janet Napolitano says. If anything it’s gotten worse as the current administration looks the other way while “undocumented Democrats” (and select members of Al Qaeda) flock across the border. Hey, they’re illegals, not rocket scientists. If they were rocket scientists they all would have had the same German name. The authorities should leave them dressed as Marines and haul them up to Berkeley — that’d be one way to get the freeze-dried Bay Area moonbats to finally want to get rid of illegals — albeit unwittingly. Here’s the deal as I understand it at the moment. Meg Whitman, the Republican who’s running for governor of California against Moonbeam Brown, fired a housekeeper last year who it turns out is in the country illegally. Whitman claims she fired the housekeeper after discovering that she’d lied about her legal employment status on her job application. The woman and her attorney, the obnoxious dirtbag magnet Gloria Allred, claim Whitman knew as early as 2003 that the housekeeper was an illegal alien and only chose to fire her after deciding she could be a political liability during her run for governor. Oh, and Allred also claims that Whitman was a big meanie of a boss to her client, but I’m guessing the “illegal” part is going to be the story here. It’s said that Whitman received a “no match” letter from the Social Security Administration, which is a red flag concerning a discrepancy with an employee’s social security number. Yes, Gloria Allred is a crapweasel. But an SSN no-match letter usually speaks for itself. And if Whitman did in fact receive the no-match letter in 2003/2005, her credibility goes out the window. If Whitman did know about her housekeeper’s illegal status years before she allegedly fired her for the same offense, then Whitman’s earned whatever the fallout is from this. Don’t people usually hire illegal help because they can pay them less than minimum wage? Nicky Diaz Santillan, Whitman’s housekeeper of 9 years, held a news conference with her lawyer, Gloria Allred, and claims Whitman had all the clues she was an undocumented worker but closed her eyes to it because she was cheap help … $23 an hour. Criminy… what’s the minimum wage in California? It seems to me that, especially in this economy, you could find a legal resident to work for that same money. But I understand this is also California, where a glass of lemonade at a kid’s stand will put you back $40. It’s also worth noting that if Whitman had suspected in 2000 that the applicant wasn’t legal and declined to hire her based on that, Gloria Allred (and most on the left for that matter) would have accused Whitman of profiling and racism — but I digress. The moral of the story for rich politicians: Do your own damn housekeeping! (CNSNews.com) â€“ Pinal County Sheriff Paul Babeu said requests by Arizona law enforcement personnel and Sens. John McCain (R-Ariz.) and Jon Kyl (R-Ariz.) for 3,000 National Guard troops along the stateâ€™s border with Mexico have been answered so far with 1 percent of that number deployed there this week. How much help was Arizona to expect from an administration that just condemned their immigration law in a report to the UN Human Rights Commission? If anything, those 30 troops are there to keep an eye on Jan Brewer and to report back directly to Ban Ki-moon. Obama is his own worst enemy — he obviously believed all the “walk on water” press clippings he got from the Obamaniacle media and figured the courts would buy into it too. So far it doesn’t seem to be turning out that way. In the meantime, Jan Brewer has a 19 point lead in the Arizona governor’s race. Update: La Shawn Barber has a piece at Pajamas Media about a state’s right to enforce immigration law. PHOENIX (AP) — Donations to a special fund to help Arizona pay to defend its immigration enforcement law now total roughly $500,000, with more than half of the contributions made as the federal government sued to challenge the law. The U.S. Justice Department filed its suit Tuesday in federal court in Phoenix. A document obtained by The Associated Press from Gov. Jan Brewer’s office showed that 7,008 of the 9,057 contributions submitted to the fund’s website by Thursday morning were made in the days following the government’s filing. 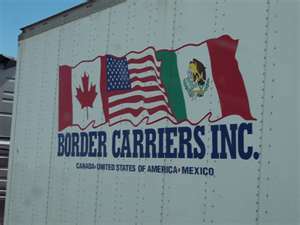 What Do the Obama Administration and Mexico Have in Common? PHOENIX â€” Mexico is asking a federal court in Arizona to declare the state’s new immigration law unconstitutional. “Lawyers for Mexico”? 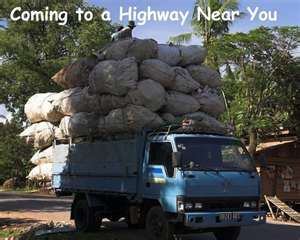 I thought that’s what we’ve been paying Eric Holder to do. Mexico’s wasting money on their own legal team when they already have one in Washington DC. It has to be asked: When Mexico is challenging the “constitutionality” of Arizona’s law, are they referring to Mexico’s constitution, or the US constitution? If Obama & Friends are in charge much longer the two might be interchangeable. It’s truly amazing that we have an American president teaming up with a foreign country in bringing legal proceedings against a US state. Mexico says its interest in having consistent relations with the United States shouldn’t be frustrated by one state. Yes, Mexico would prefer that all US states have lax security and hands tied by politically correctness. TONOPAH, Ariz. – An illegal cockfighting ring was busted in the west valley and Maricopa County Sheriff Joe Arpaio is not taking this animal cruelty lightly. The fights were held in Tonopah, near 385th Avenue and Southern. Nearly 70 people were arrested, including 20 suspected illegal aliens. “We do not give tickets out, we arrest them and put them in handcuffs, book them into our jail when they violate animal cruelty laws. I don’t care if it’s against dogs, cats, horses, roosters or what have you.” Arpaio said. 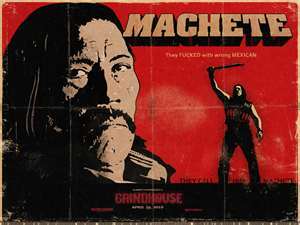 Where’s Machete when we need him most?